NEBOSH is heading to the Middle East HSE and Sustainability Forum where it will discuss what it takes to be an effective health and safety leader. 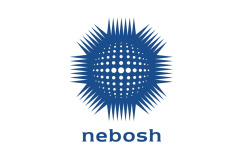 NEBOSH’s Head of Qualifications and Assessment, David Towlson, will host an interactive roundtable discussion entitled ‘How to make a difference: how can leaders become better advocates and influencers in relation to health and safety’. It follows the launch of the NEBOSH HSE Certificate in Health and Safety Leadership Excellence earlier this year. A new, one-day qualification for senior or aspiring leaders, successful students will learn how to positively influence health and safety performance and culture. The Middle East HSE and Sustainability Forum is free to attend and takes place from 1-3 October in Dubai. Hosted by the Energy Institute, it will deliver essential learning and sharing of international good practice to help improve the safety performance of organisations, foster a healthy and accident-free work culture, and ensure a sustainable environment.